In the last few years, WhatsApp has grown from a mere instant messaging platform to a full-fledged communication solution. With new features like stickers, GIFs, live location sharing, WhatsApp has become even more indispensable in the lives of the public. The streak of updates is, however, not over yet as WhatsApp continues to bring new features on board regularly. There are also some little nitty gritty features which make WhatsApp an amazing application like pin chats and much more. However, lately WhatsApp has been facing a very dire issue of fake news, and the Facebook-owned messaging giant is rolling out features to combat it as much as possible. In the coming days, WhatsApp is expected to launch a few more features which will help users in curbing the spreading of fake news and improve the general user experience. In-app Browser: Although other Facebook-owned platforms like Instagram and Facebook have their in-app browsers, WhatsApp is one platform which has been devoid of the same until now. However, when WhatsApp brings this feature onboard, it will not only open the links in the in-app browser, but it will also inform the users whether a link is safe to visit or not. Further, it will avoid opening a different browser window altogether on the phone thus supporting faster load times. Search Image Feature: This one is going to be a unique feature for WhatsApp users since it will allow them to search for an image which they have sent or received on the app. This way they will be able to make out whether or not the image that they have exchanged on the app is authentic are not. However, currently, the feature remains under bug-testing phase. Forwarding Info Feature: This is yet another very crucial feature which WhatsApp will be bringing for its users. Using this new functionality, they will be able to see how many times they have shared a particular message. The information about a message forward will be available in the message info section of the individual chat window. This way users will be able to keep track whether or not this message has been shared once or many users. Frequently Forwarded Feature: This frequently forwarded feature will be a little bit different to the forwarding info feature as it will be visible to the recipient of the message. When you receive a message, you will get to see whether it is being forwarded frequently or not. WhatsApp has said that it will consider those messages as frequently forwarded which have been shared more than four times. 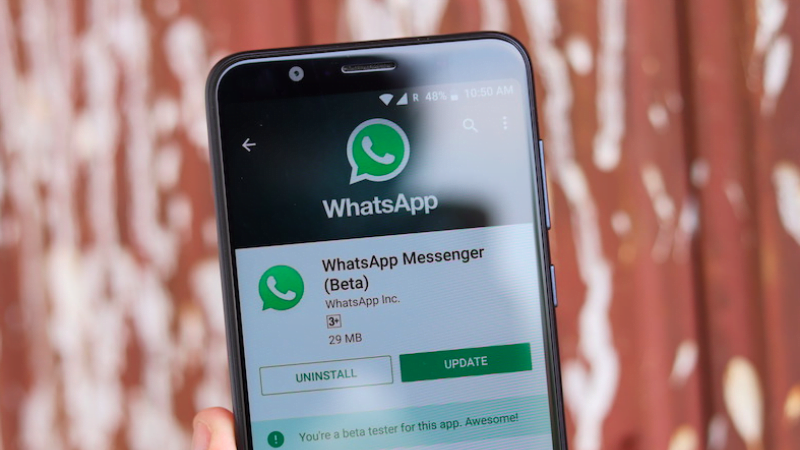 Short Link Feature: The WhatsApp Short Link feature will be intended for WhatsApp Business iOS users, and it will help businesses generate a link from the WA.ME service by WhatsApp. This will, in turn, be used by the users to chat with WhatsApp businesses without any hindrance.